David Howell's practical approach focuses on the context of statistics in behavioral research, with an emphasis on looking before leaping; investigating the data before jumping into a test. This provides you with an understanding of the logic behind the statistics: why and how certain methods are used rather than just doing techniques by rote. 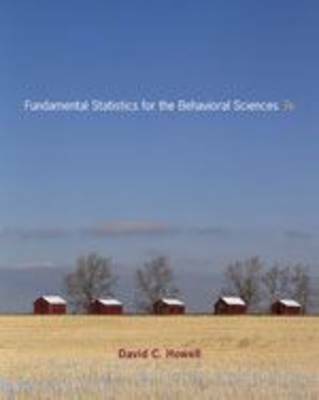 Learn faster and understand more because Howell's texts moves you beyond number crunching, allowing you to discover the meaning of statistical results and how they relate to the research questions being asked.